I am pretty pleased and surprised when I find a single I never saw before of a band I know and love - and with this one it was a case of 'well, it's cheap, I may as well check it out'. 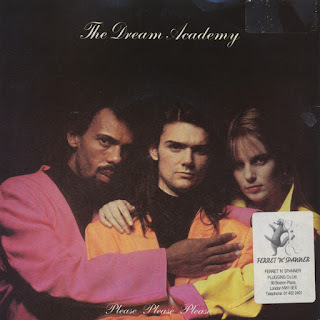 Most people know the Dream Academy for their mid-Eighties hit Life in a Northern town only, but I checked out a few other singles by them and I was never disappointed. This particular single was released in 1985, pretty soon after The Smiths released the song as a B-side to their 1984 single 'William, it was really nothing'. The single reached number 83 in the UK singles chart. A later cover version by Slow Moving Millie in 2011 was more successful: it peaked at number 31.